"Congratulations!...You have a wonderful web site! I found it very interesting and enjoyed my visit. I can see the hard work you have put into this, your time and effort is to be commended." "I was impressed with the quality of your site and I could see that a great deal of time, creativity, and effort went into it. 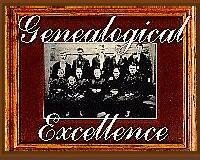 Your site offers a comprehensive resource not only on the McDowell Family but to genealogy in general.It is very well written and uncomplicated." "Your effort and dedication shine throughout your pages. 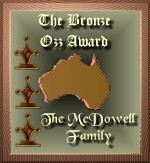 You are most deserving of many accolades, and for making the World Wide Web a much better and nicer place for us all. " "CONGRATULATIONS ! 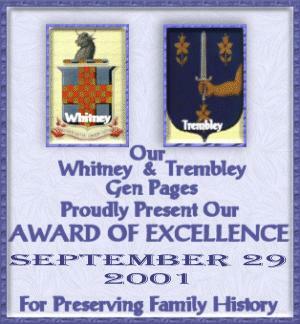 Your site has been reviewed and chosen to bear MY WHITNEY AND TREMBLEY GEN PAGES AWARD for EXCELLENCE, for outstanding contributions to the genealogical community ! " 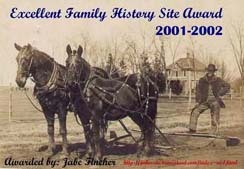 "After a most enjoyable visit to your site, I am please to present you with one of my awards. You have done a beautiful job on your site and your hard work shows. 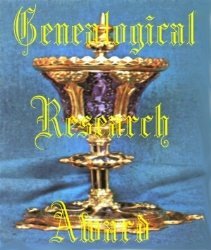 I found your site chock full of information presented in a most enjoyable format. Keep up the great work." "Congratulations!!! 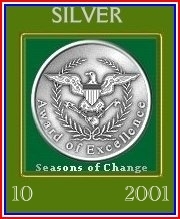 Your site as listed above has been chosen as a winner of The Seasons of Change Silver Award for October 2001. I enjoyed my visit to your site. Thanks for making the web a better place. It is evident that you have put a lot of hard work into your web space. " "I have visited your site and have found it more than worthy to be the recipient of the All Volunteer Yacht Club "This Site Floats" Award! It is clear that you have worked long and hard to put such a nice site on the Web. Your work on navigation and page layout can only leave in your visitor’s mind the image of a quality site. 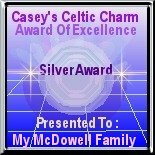 Congratulations"
This is a solid resource for McDowell family members around the World. 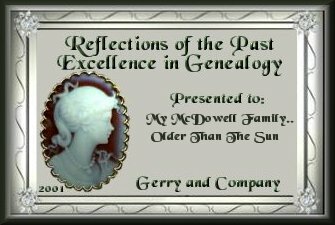 We like the extraordinary depth of content and use of illustrative graphics throughout, and particularly enjoyed reading the family history. It was a delight to evaluate your site and we hope to see even more in the future..."